Best Dog for Cats - Which Breeds Are Least Likely To Chase Your Cat? Best Dog For Cats – Which Breeds Are Least Likely To Chase Your Cat? 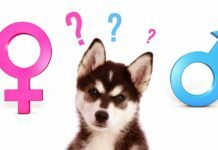 What’s the best dog for cats? 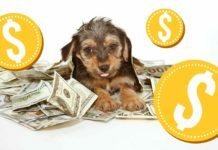 This is something you must know if you are thinking of having a multi-pet household that includes both cats and dogs. 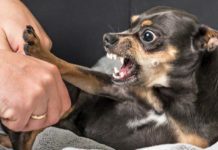 You’ve probably heard the phrase, “fighting like cats and dogs.” But that doesn’t have to be the case if you make the right choice of canine companion for your kitty! In this article, we’ll look at some breeds that are traditionally known to be good with cats. We’ll also talk about some of the breeds that absolutely should not be mixed with cats! Before we look at the best dog for cats, let’s rule out some of the breeds that should never be trusted with a cat. Now, there are clearly exceptions to every rule. But for safety’s sake, it’s best not to mix certain breeds of dog with a cat. Dog breeds of the Terrier Group were originally bred to hunt and kill vermin. Cats will instinctively run away from a pursuing dog, and this can trigger a terrier’s instinct to chase. In particular, breeds such as the Jack Russell Terrier can be a problem with cats. Once at my local livery stables, a visitor’s Jack Russell Terriers were loose in the yard. They chased the stable owner’s cat, which ran for shelter under a pile of wooden pallets. The dogs pursued the cat, cornered it, and killed it. In this case, the combination of natural pack hunting behavior and the inbred tendency to catch and dispatch small furry things culminated in a tragic ending. Dog breeds that are included in the Hound Group are bred to chase prey. In particular, sighthounds such as greyhounds and whippets have a very strong instinct to pursue small, furry creatures, namely hares. However, many greyhounds will take off after a cat – it’s what they’re bred to do! Therefore, although it may seem like a noble cause to adopt a former racing greyhound, these dogs do not mix well with cats! Dog breeds of the Herding Group are bred to herd anything that moves! That can include livestock, their owner, and their owner’s kids too! Although it’s unlikely that a Border Collie would harm your cat, Kitty would probably very quickly get fed up with this kind of game. Here’s a list (not exhaustive) of dogs that are renowned for having a high prey drive. That means these breeds are not the best dogs for cats. So, what about dogs that can be best mates with cats? The following breeds are well-known for having amenable personalities. Generally, they get on very well with their feline friends. However, there are always exceptions to every rule. For this reason, you must supervise your dog and cat closely for the first week or so that they are introduced. Always err on the side of caution! For the sake of mutual harmony, be sure to provide the cat with a safe place to go where she can’t be pestered by the dog, and vice versa! The Beagle is the exception to the rule when it comes to dog breeds and cats! Beagles are small scenthounds that were originally bred to hunt. However, the breed does get on amazingly well with cats. Beagles tend to recognize their “own” cat. While they’ll chase other cats out of your yard, they won’t bother their familiar friend. These are very friendly dogs and are great fun to own. However, if you are looking for your first dog, a Beagle might not be the best breed choice for you. Beagles can be difficult to train! These dogs are infamous for ignoring their owner’s calls if they’ve found an interesting scent to follow. Also, although Beagles don’t bark much, they do tend to howl. That could be a nuisance if you have close neighbors. Another thing to keep in mind is that Beagles are prone to gaining weight if they don’t get enough exercise. So you’ll need to be prepared to walk him at least twice a day. The Bichon Frise is a jolly, extremely sociable small breed of dog that will probably view your cat as just another friend to play with. This will work out fine if you have a kitten or a young cat with plenty of energy who loves a game. However, if you have a senior cat or one who’s very laid-back, a Bichon Frise might be a little too over the top. The Bichon Frise has beautiful white fur that barely sheds at all, so he needs very little grooming. However, you’ll need to trim and brush your Bichon Frise and bathe him regularly to keep his pristine white coat in perfect condition. Bichons are great fun to have around, and they’re really easy to train. Also, they don’t bark much, which is an important consideration if you have to leave your dog home alone when you go to work. If you want a pint-sized companion to keep you and your young cat company, the Bichon might be your perfect pooch! The Golden Retriever is a wonderful dog to have in a family home with kids and other pets. He is unlikely to chase your cat or get too rough when playing. Ultimately, he will regard your cat as just another member of his family. Golden Retrievers are extremely easy to train and are willing to have a go at just about any game, especially if it involves water! In fact, the breed originates from Scotland where they were trained as gun dogs, retrieving fowl from rough terrain and sometimes from water. If you want a friendly, family-oriented, trainable canine companion that will get on with your cat, this could be a great choice. However, these are big dogs that won’t be comfortable in a small apartment. You’ll need plenty of space for these guys, including a yard. Also, they do need lots of exercise, so you’ll need to be prepared to walk your retriever at least twice daily. 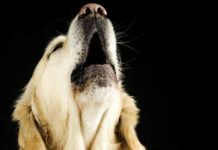 There are a few health problems to be aware of before you settle on a Golden Retriever as a pet. As with many large breed pedigree dogs, Goldens can suffer from elbow dysplasia, hip dysplasia, and PRA blindness. Ask to see your pup’s parents’ hip score certificates. The closer to zero the score is, the better. Ideally, you want the score to be even. Also, some forms of cancer are thought to affect the Golden Retriever more than any other breed. The Maltese is the smallest of the dog breeds that’s known to get on with cats. Maltese are friendly and laid-back little dogs whose history is thought to go back hundreds of years. Maltese have always been bred to be companions and lap dogs, rather than working for a living! In fact, 17th century art often depicts these little dogs reclining on cushions or relaxing on their owner’s bed. Their habit of hanging out with their family (including the cat!) make them a great choice for the first-time dog owner. These dogs tend not to bother with cats at all, making them the perfect choice for a home where a senior cat is already a resident. Just like the Golden Retriever, the Labrador is a laid-back kind of dude that loves to be part of the family. Labs are typically gentle, intelligent, and keen to please. They’re also extremely easy to train. The Labrador is one of the gundog breeds. These dogs have been selectively bred as hunting companions since the early 1900s. They were used to retrieve shot game birds and return them to their handler without damage, so that the bird was fit for the table. 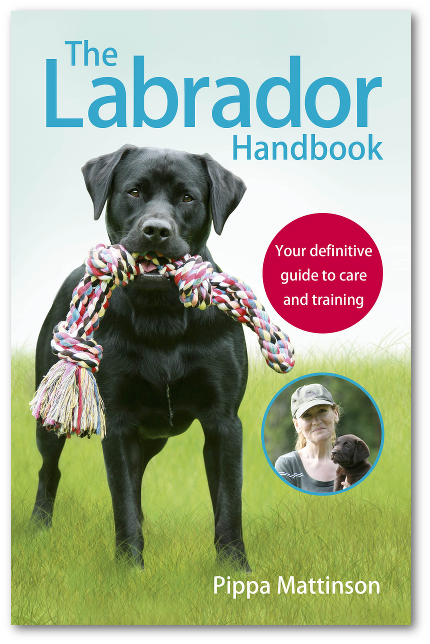 The Labrador has developed a soft mouth, natural retrieval instincts, and a wonderfully trainable and co-operative attitude. Labradors are great with cats, regarding them as just one of the family. When I was a child, we had a black Labrador called Toby. Toby loved to play with our two cats! The cats would stalk the dog from under the sofa, rushing out and pouncing on him when he was fast asleep! Gentle old Toby simply woke up and joined in the game without complaint. 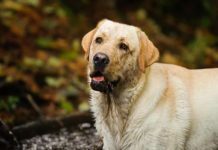 Like many large breeds, Labradors can be prone to a few health conditions, including elbow and hip dysplasia. For that reason, always ask to see your puppy’s parents’ hip score certificate to make sure he won’t inherit this problem. Labs are notoriously greedy! Be sure to give your Lab the right amount of food and plenty of exercise so that he doesn’t become overweight. The best time to introduce your cat and dog is when both are babies. 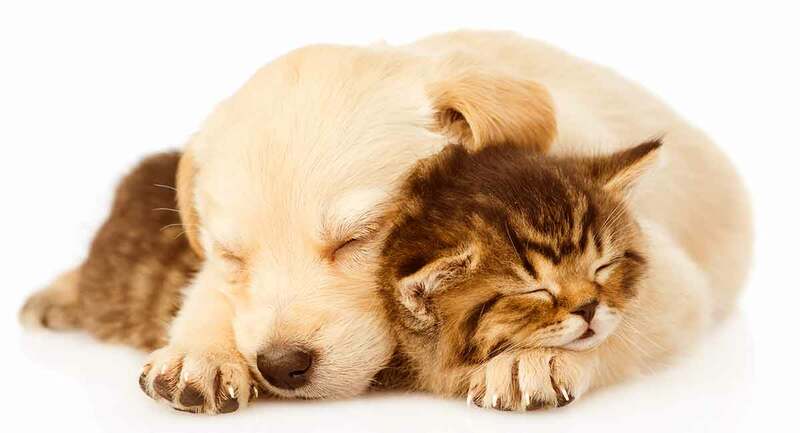 That way, the kitten and puppy grow up together, becoming best friends from the first day. Problems usually occur when introducing a dog to a household where a cat has been the only pet. Cats can be quite territorial, and many new pooches have received a swipe across the nose for being too curious. In particular, a bouncy new puppy might not get a warm welcome from a senior cat who just wants a quiet life! It’s a good idea to place the cat in a cage when the new dog is brought in. Put the cage with its back to a wall, and cover the top, back, and sides of the cage with a cloth so that your cat can only be approached from the front. Your new dog and cat can then meet through the barrier of the cage. This will ensure that the dog can’t chase the cat, and the cat can’t attack the dog! I found this method worked well when I brought my rescue cat home to meet his new housemate, my dog Jess. After some initial sniffing, Jess became bored with the newcomer and wandered off. The cat realized that the dog wouldn’t hurt him and soon settled down to sleep. When the cage was opened and the cat released, he and Jess got on just fine. If you already have a cat living in your home and you’re planning on adding a dog to the mix, be sure to choose a breed that won’t clash with your feline family member! Avoid breeds that are bred to hunt and chase. The ideal method of introduction is for both animals to be babies. If that’s not possible, make sure that your cat has a quiet place to go if she wants to get away from the new doggy arrival. Do you have a cat and a dog? Tell us your story about how they were introduced and how they get on in the comments section below! 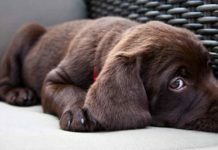 Next articleWhy Is My Dog Scratching And How Can I Help Him?